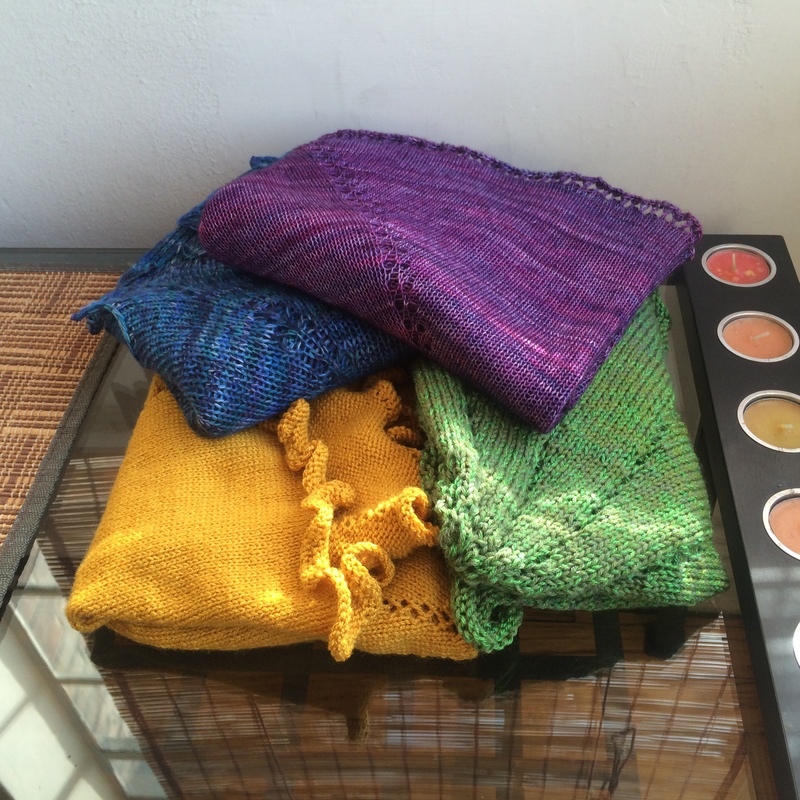 I’m spending a chunk of this week blocking the first four shawls of 2014. I’ve talked before about how blocking is the step my knitting projects get “stuck” on even though it might be my favorite part of knitting lace. I think blocking is magic. It opens up and evens out your stitches. It makes your fabric lighter, airier, and look more delicate. So I block even simple stockinette shawls. 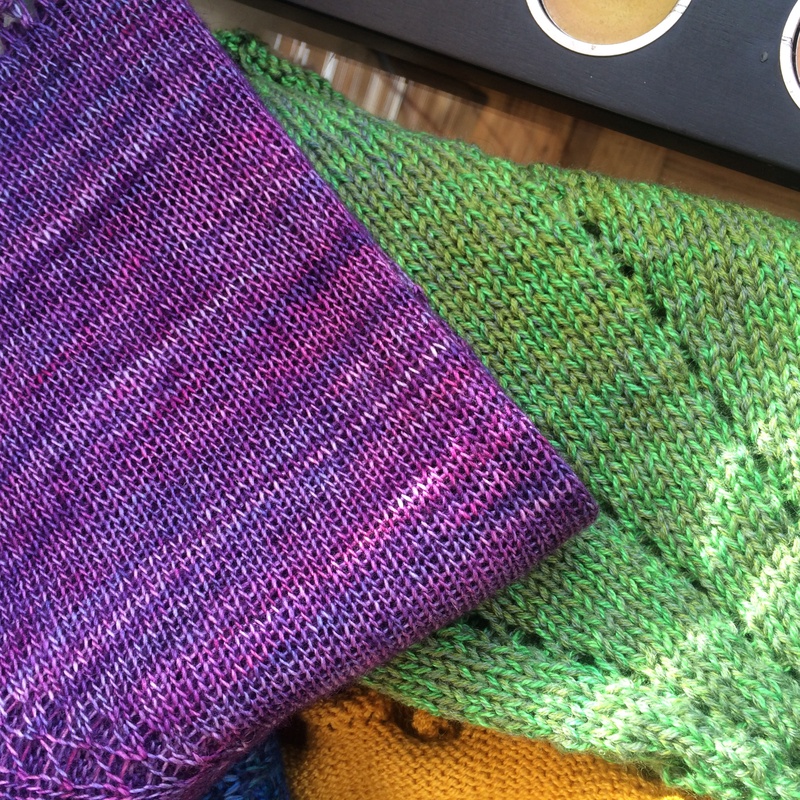 I don’t know if you can see the difference in this photo, but you can certainly feel the difference between the fabric of these two shawls.